April 10, 2017 / Martin Gulliford / Comments Off on Have an egg-cellent Easter! What’s better than getting lots of chocolate eggs for Easter? Getting lots of Fairtrade chocolate eggs! Fairtrade ensures that farmers around the world get a fair price for their cocoa, and invests in communities to improve lives. 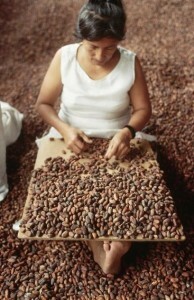 With more and more companies now offering Fairtrade chocolate, Easter is the perfect opportunity to support the scheme. The Fairtrade Foundation lists a few companies offering Fairtrade Easter eggs this year, but there are plenty more around on supermarket shelves! So, we have eaten all the chocolate, and now we are left with a mountain of wrapping. To prevent this, try to find treats with less packaging. There are now great alternatives to lots and lots of plastic on the market, for example the Eco-Egg by Montezuma’s, which comes plastic-free in biodegradable packaging. You can also try to upcycle any waste that does arise – Pinterest always has lots of ideas! Everyone loves a good Easter Sunday meal. Why not challenge yourself to make it using locally sourced ingredients this year? Buying from local markets and farmers means your food has travelled less miles on the road – and it gives you a better idea of where your food came from and how it was produced. After all of this f ood, Easter can also be a great time to enjoy the (hopefully) warm weather! 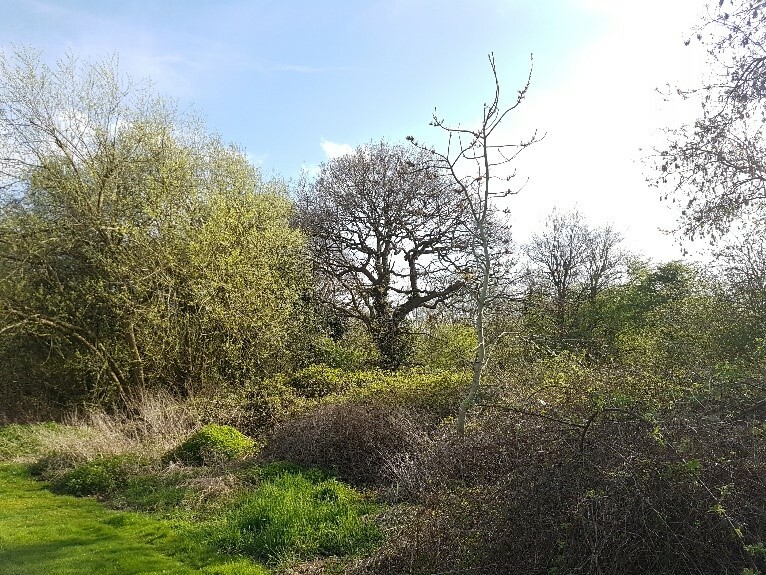 With the stressful exam period coming up, making use of green spaces can help clear your mind – even if you don’t have time for extended walks, you could move your workspace outside for a few days. There are plenty of green spaces around London (e.g. Richmond Park, Southwark Park, Primrose Hill, Hampstead Heath etc. ), and if you want to get your hands dirty, you can try out some community gardening! Before you leave King’s, please make sure you switch off anything you don’t need. This can be anything from kitchen equipment (fridges, microwaves), office equipment (printers, PCs, screens), to lab equipment not in use (please do check with the owner if it is ok to switch off!). In 2015, students and staff at King’s switched off for Easter and saved 95 tonnes of CO₂ – this is the same as taking 18 cars off the road for a whole year. For most of us, food waste is an everyday reality. Whether it is buying vegetables we can’t quite finish, or cooking too much pasta or rice, it is hard to avoid. At Champion Hill Residence, students have two great alternatives to throwing food waste in the general waste bin – and one of them involves some very interesting ‘pets’. In September this year, the Champion Hill team sent out emails to new residents to see if anyone was interested in a food composting project. Since then, 22 kitchens signed up and picked up their food waste caddies – that’s 25% of residents! 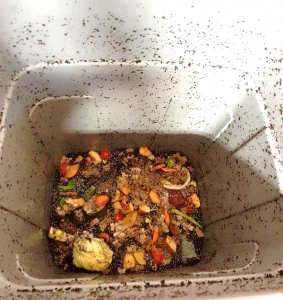 The composting bin is located in the courtyard of Beech block, and open at the bottom to make it possible for insects to get inside and help the composting process. And it’s not just for food waste: paper and cardboard make composting more efficient – and less smelly. But, hidden from sight, there is another way of breaking down food waste: a Wormery. In a wormery, a colony of worms eats through the food waste. While it might not sound nice, worms are highly efficient at dealing with waste, and leave behind useful by-products in the form of fertiliser for plants. 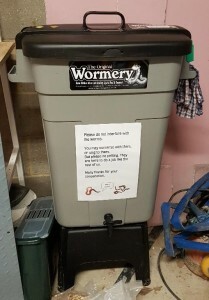 The residence’s Sustainability Champion Holly found out about wormeries while researching food composting, and loved the idea. At the moment, the Champion Hill wormery is home to around 480 red tiger worms – a number that is expected to increase rapidly once the worms start breeding in the warmer months. They eat most things we eat: vegetables and fruit, peelings, bread, cake, and even pizza. 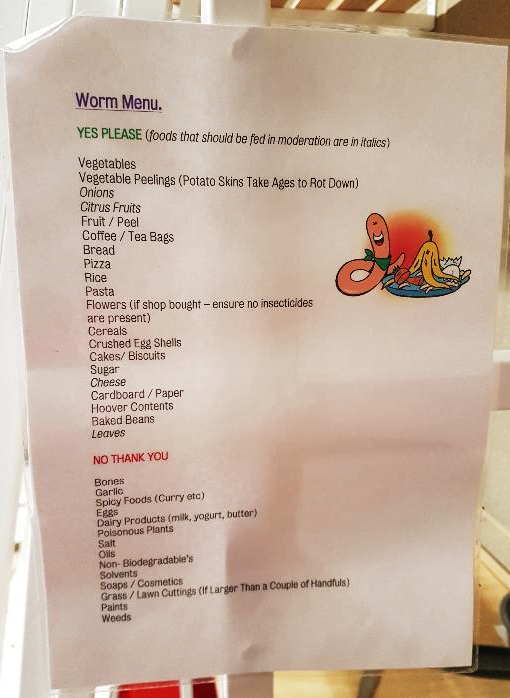 To make sure they get a healthy diet, the team has placed a ‘worm menu’ next to the wormery (see picture). How quickly food waste is composted depends on the temperature: At the moment, worm activity is lower due to the cold, but activity and composting is expected to speed up when it gets warmer. And it turns out worms are not very demanding pets. Even though you do need to add a handful of lime mix every couple of weeks to prevent acid build-up (and to help the worms’ digestion! ), once worms are fed they can be left alone for a few weeks. The container is sealed, and liquid can be taken out through a tap at the bottom, which prevents the nasty smells we often associate with composting bins. This liquid is also rich in nutrients. 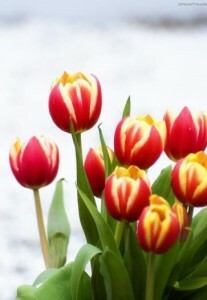 Diluted, it can be sprayed onto plants as fertiliser. And much like in conventional composting bins, the solid material worms leave behind can also be used to fertilise plants. 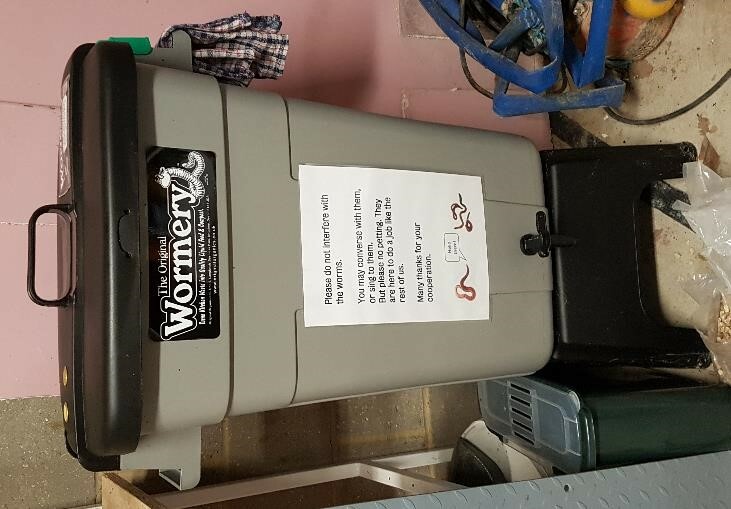 Both the composting bin and wormery are relatively new, but once the fertiliser from both of them is ready in the spring/summer, the Champion Hill team plans to make the most of it. One idea is to set up a herb garden in the residence, making the space more interesting for students, as well as adding to the biodiversity of the courtyard. If you have been at Champion Hill recently, you will have seen the early stages of this project. 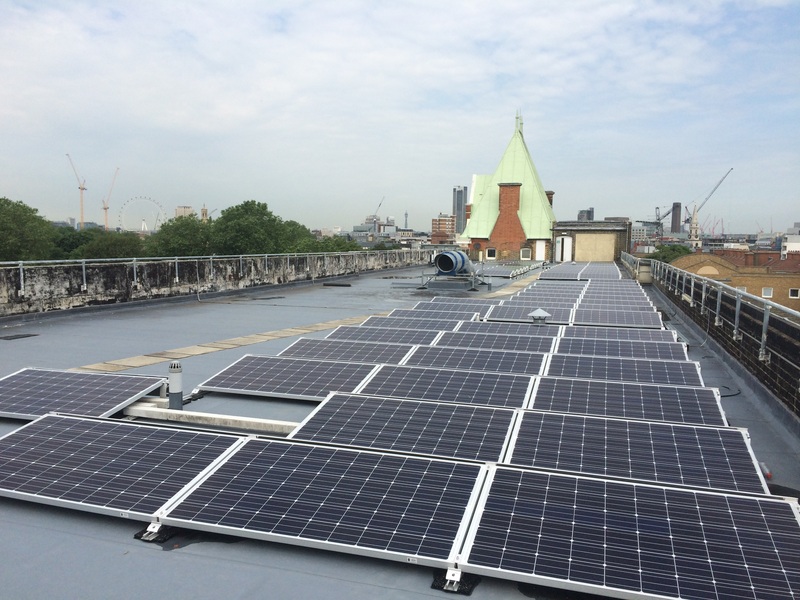 As a university, we are constantly working on improving our environmental footprint. Efforts such as the food composting projects by the Sustainability Champion Holly and the rest of the Champion Hill team are an excellent example of how this can be achieved through new and sometimes unusual ideas. Resident at Champion Hill and want to compost food waste? Make sure you know what you can and cannot dispose of at Champion Hill by contacting the residence team. The composting bin is located in the courtyard of Beech block. 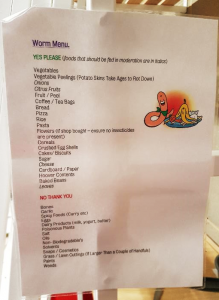 The wormery is not directly open to students to make sure the worms get the correct diet, but food waste from participating kitchens is taken there by staff. Earlier this month, the UK Stakeholders for Sustainable Development (UKSSD) held their annual conference in London. The theme this year was how to translate the UN Sustainable Development Goals (SDGs) into actions in the UK. The conference started with a keynote speech by Amanda MacKenzie OBE, who highlighted the importance of getting everyone involved. When the SDGs were unveiled, she ran a campaign to get word about them out there. One of the key messages of this was the importance of using simple language everyone understands. This is why she refers to the goals as Global Goals rather than SDGs, claiming the term SDGs “sounds like something you would see your doctor about”. 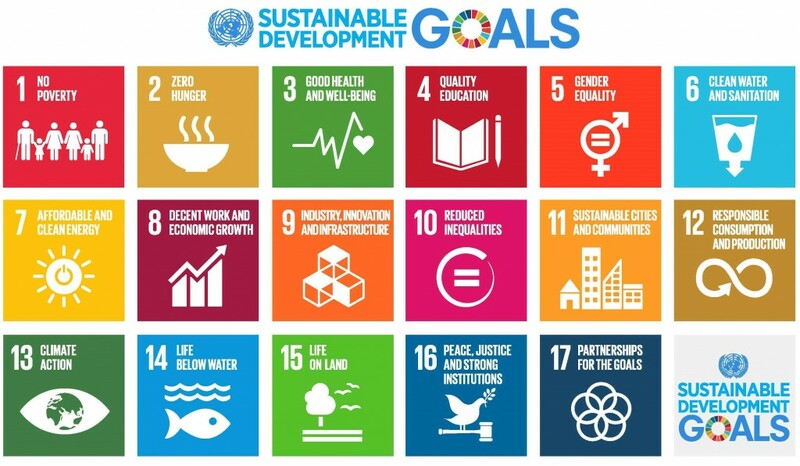 By calling them the Global Goals and making them accessible, we should be able to take millions of small, simple actions, together adding up to significant change. 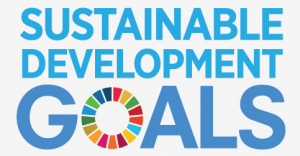 Prior to the event, key partners of the UKSSD sent an open letter to Prime Minister Theresa May, asking what the government is doing, and will do, to work towards the SDGs. Lord Bates, Minister of State for the Department for International Development, took to the stage to respond on behalf of the government. He claimed that with Brexit, the SDGs can provide an important framework for the UK to face outwards again. One aspect that was highlighted several times throughout the day was that the SDGs do not only apply to the developing world. 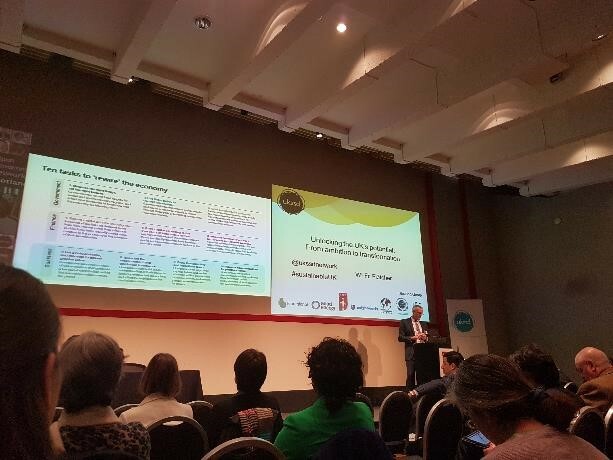 Dr Graham Long from the University of Newcastle did extensive research on how the UK is doing compared to the goals – with the conclusion that there is work to be done within the UK too. For example, many see Goal 1 (No poverty) as only applying to the developing world. However, Dr Long showed that over 15% of households live under what is considered the poverty line in the UK. Similarly Goal 2 (Zero hunger) is not only about the absence of hunger – it is also about the presence of good nutrition. So how can we achieve the goals and targets associated with them? According to Dr Jake Reynolds from CISL, it is all about ‘rewiring’ the economy. At the moment, sustainable businesses face many challenges, and one could argue that the game is tilted against them. We need to change this to a system where sustainable businesses have the advantage. Dr Reynolds presented his 10-task plan to make this happen, calling to the government, business and the financial sector to implement changes. Talking about how businesses can have an impact and implement changes, another session focussed on leadership within organisations. While we often talk about wanting change to happen, few of us make changes themselves, and even fewer are ready to lead change. In the afternoon, John Elkington chaired a panel discussing ‘Transforming lives’. One main point from the discussion was the importance of having a positive message. Mike Barry from Marks & Spencer’s Plan A said that to achieve the SDGs, we need to get people excited about them. Trewin Restorick from Hubbub reinforced this, sharing some of the positive and fun campaigns the charity Hubbub has run over the last year. As they are our next-door neighbours at Somerset House, you might have noticed us sharing some of their great ideas (including #BrightFriday and the Square Mile Challenge we will be taking part in). Another idea that was mentioned during this panel debate was that of Doughnut Economics by Kate Raworth – if you have followed our Sustainability Week, you might have heard her speak at our successful Overpopulation vs Overconsumption debate. Overall, the conference gave attending businesses a good insight into why the SDGs matter, both at home and abroad, as well as how they can support them by promoting them in their organisation. As was repeated many times during the conference, we need everyone involved if we want to stand a chance at achieving the SDGs – this includes government, business, and every single one of us.